A “Pilgrimage” is defined by Webster’s as a journey made by a person to a sacred place as an act of religious devotion. Some may not believe that a fishing destination meets such a description, but over the years, for reasons I describe in detail in my first book, Heaven on Earth: Stories of Fly Fishing, Fun and Faith, my annual trip to Montana’s Madison River has become a pilgrimage. In short, in July of 2002 after I weathered one of the toughest trials of my life, I experienced some unparalleled days of fishing on the Madison River. Some may call it dumb luck, but I realized then it was Divine Providence. And, since that special experience, I go there every chance I get to remember. Scott and I woke up at 4:30 a.m. and drove over the divide to the Madison River. As always, the river valley was so beautiful, but the Madison was surprisingly low. We started off fishing near the island below the bridge and Scott began hooking fish regularly. He was using a heavy two-nymph rig with a split shot and was getting down and dirty. In fact, he was fishing the deeper, swifter water where I would not have focused. After all these years, I am still learning. At first, I struggled to catch anything. I was using a Red Fox Squirrel Nymph and a Gold Ice Dubbed Nymph and got no strikes. So I borrowed a heavy Brown Rubber Leg from Scott and tied that on as the dropper. In the boulder runs below the bridge, I finally hooked and landed a nice rainbow and hooked a Whitey, which got off. I was glad to finally get the skunk off. First big rainbow of the trip. I worked my way up past the bridge during the glorious sunrise. Every time I fish this stretch and observe such beauty, I cannot help but remember why it’s my Heaven on Earth. Not all places of worship are in a church. First light on the Madison is simply magical. 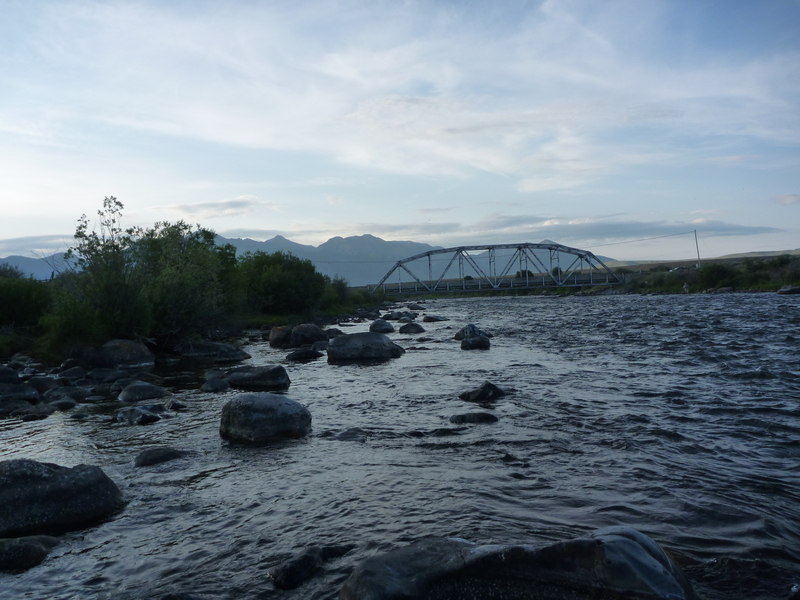 Once I made it up to the boulder runs above the bridge, I began to see a few rises. The Madison River is so dang healthy. I saw Salmon Flies, Golden Stones, Yellow Sallies, Crane Flies, midges, tons of different caddis flies, and pale morning dun spinners. On Wednesday, when my family and I went into the Slide Inn, Kelly Galloup personally told me to look for the PMD spinners in the early morning. Actually, here’s how the conversation went. As I was buying my license and some streamers, I asked Kelly, “Are the big bugs out?” Kelly responded, “Oh yes. Watch for the spinner falls in the morning.” I thought: Spinner falls! What the heck is he talking about? I was asking about the giant stone flies. Then, I realized Kelly probably thought I asked, “Are there any bugs out?” So I kept a mental note that Galloup mentioned the PMD spinner fall in the early morning. It was a good thing because that little tidbit of information made my whole trip. When I saw the first rises, I said out loud, “I’m switching to a dry fly.” I started out with a CDC Caddis and caught a little rainbow right off the bat. I worked my way up to the big log jam, where I found the Brodin Net eleven years ago. Since then, this particular lie has always been special to me. 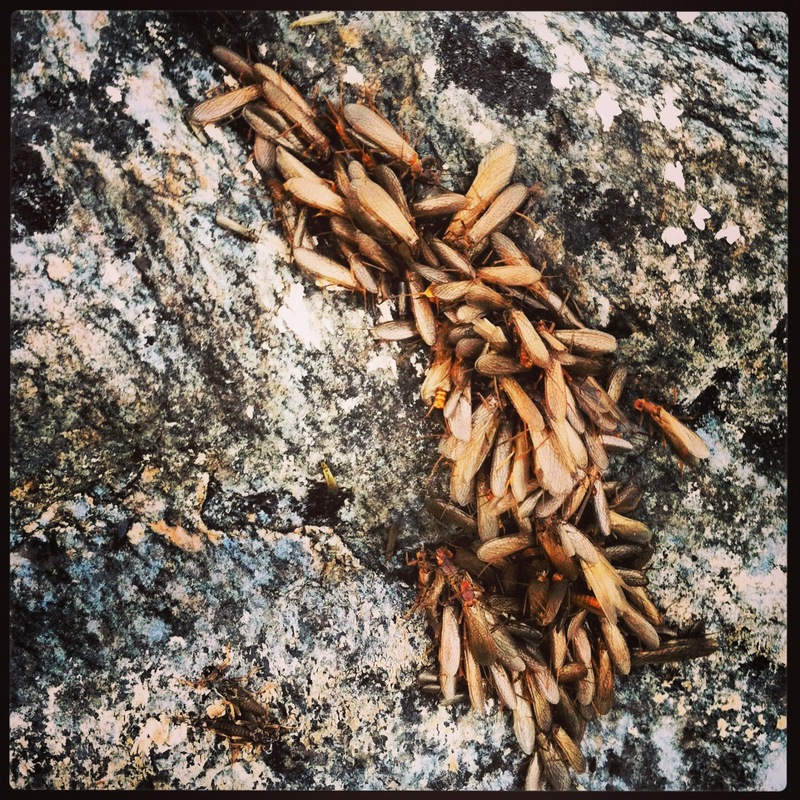 I cast the CDC Caddis up into the riffle behind a boulder and watched the tell-tale rise. I stuck him and the fish blazed out into the main current. I was able to put the breaks on him and bring him close, but missed twice with the net. Below me, the fish did a head shake and was off as I was using barbless hooks. I was a little bummed, but still stoked to have hooked such a nice fish on a dry fly. With Kelly Galloup’s statement in mind, I then switched to one of Harrop’s CDC PMD’s. I have never seen a more realistic pattern in my life. This was the ticket! I carefully worked the water and watched for the rise. Within five minutes, I hooked into another rainbow almost as big as the first. I landed this one and took a few pictures. I was ecstatic: Big fish on tiny dries on the Madison, it really does not get any better than that! 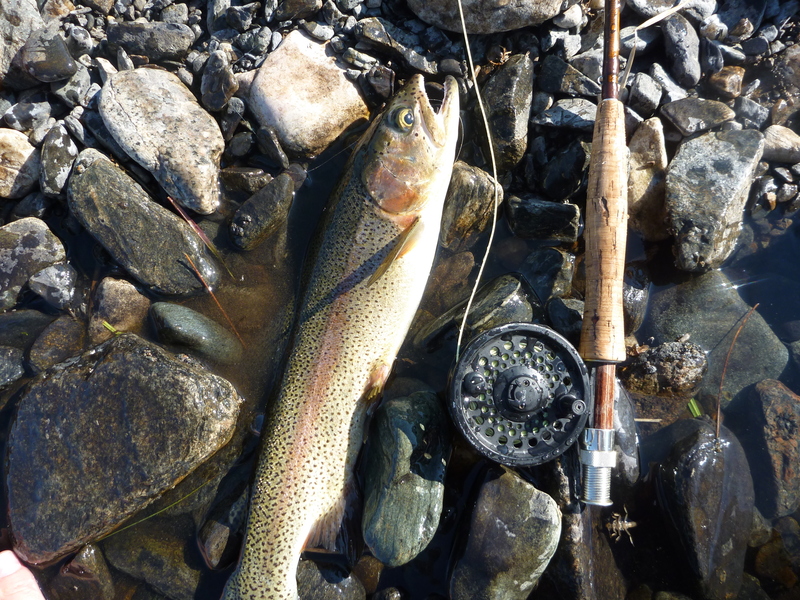 Big fish on dry flies is the height of fly fishing. Following my footsteps from years past, I worked my way up to the exact same riffle where I caught the brawling brown eleven years earlier. Somehow, I just knew there would be a fish there. Call it faith! With the sun over head, the water had that same golden glow as it had that day so many years ago and was perfect to see my fly. I cast the tiny dry into the bumpy riffle and watched it drift downstream when a huge brown rose and sucked it in. 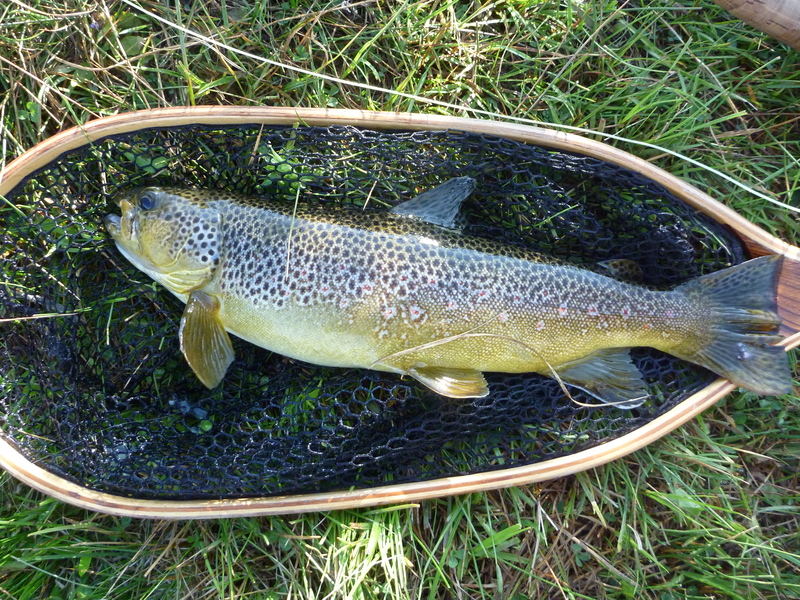 Beautiful Brown Trout taken on a CDC PMD from the Golden Run. I set the hook and fought the fish hard, but with the light tippet I had to be careful. 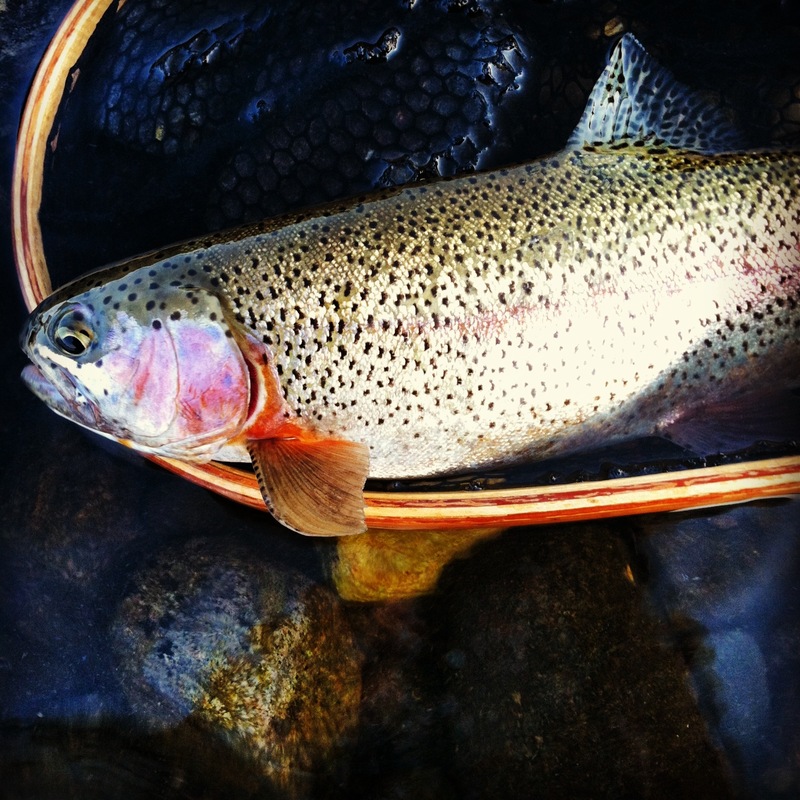 I finally netted him down by the log jam, where I netted the huge brown with the newly-found Brodin Net years ago. It felt like deja vu. Some may say this was a mere coincidence, but I still maintain it was Divine Providence. Like I said, this place is sacred. After catching these beauties on dry flies I made my way down to Scott, who was fishing down by the bridge. I apologized for leaving him and reported that the PMD spinner fall was irresistible. My morning was saved by dry flies, and on the Madison of all places. If you enjoyed this post, please check out my book, Heaven on Earth. Andrew, as usual, I find so much inspiration from your words. I think you’re in the wrong line of work! As a writer, one of the most awesome rewards is to know that someone enjoys and can relate to your work. This keeps me wanting to write more. Thanks for your support.